Because of an error in the interpretation of the Mayan calendar I just discovered, I know now that Earth will be destroyed on March 13, 2021 at 11 o'clock in the morning, time zone of Palenque. I could rent a small time machine and will travel to the past to save the human species by achieving a self sustainable, inhabited by approximately 1000 settlers colony to be on Mars by 2020. My plan is helping the Soviets to win the space race to the Moon. If this happens, USA will put all their effort into conquering Mars. I estimate that if Russians land on the Moon by 1970 the Americans can land on Mars by 1985 and establish a permanent occupation since 2005. My time machine is very small and very expensive. I need to know the simplest change possible (espionage, sabotage, bribery with lottery, rifle shots) capable of achieving this change in history. Save Sergey Pavlovich Korolyov. He was the mastermind of basically all of the U.S.S.R.'s space equipment, and he was flying circles around the U.S. scientists until he died in 1966. We don't really know exactly what happened to him. He might have had cancer in his abdomen, he might have had a botched surgery. Either way, on January 14, 1966 in Moscow, Russia, Sergey Korolyov went into the hospital for a fairly routine operation and did not come out. If you want the Soviets to win the space race, interrupt this event. One thing that we do know is that Sergey was getting sick, hence the operation, and either his cancer was too advanced or his doctor was bad, so your best bet is to get him into the hospital sooner. Part of the reason he died was his time spent in concentration camps, but you can't mess with that without risking him never getting into rockets, so it's best to just keep him alive after he's already in. Now, a man goes to the doc. when he feels sick, except Sergey didn't listen to his doc. for a long time because he was so devoted to his space toys. I recommend lightly poisoning him at some prior time so he has to go to the doctor and they can find the cancer/ulcers sooner and either get the cancer or get a better doctor to operate. Naturally, the government kept a pretty close watch on this guy, but there was plenty of time for him to get poisoned. Just pick your moment, slip him something freaky enough to get him to the hospital but not so freaky as to kill him. I recommend Rifampicin, an antibacterial commonly used to treat tuberculosis. Sergey didn't have TB, but an antibacterial can't hurt. Common side effects include vomiting, diarrhea, and, best of all, red or orange sweat, urine, and tears. That should certainly get him to a doctor. Also, another cause of orange urine is spinal abscesses, so the doc. will surely give him a thorough inspection. Additionally, Rifampicin wasn't used as a medicine until 1971, well after it would be used to save Sergey, so the doctors wouldn't jump to it's use in creating these symptoms. Rifampicin comes in tablet form and can be easily crushed and added to food or drink. A small amount should do, so it's no trouble to take it with you, or, since it was invented in 1957, you could try to find some "in situ". The real problem isn't to be solved by Korolev or Chelomei via technical means, but much, much higher in the Soviet hierarchy. The lack of interest in space exploration by the Soviet Strategic Rocket forces and the mercurial temperament first of Khrushchev, then after his overthrow by the different priorities of Brezhnev, First Deputy Premier Alexander Shelepin, and KGB Chairman Vladimir Semichastny, meant the N-1 project started late and was always underfunded. So, how to fix the problem is to look at one of the alternatives proposed in 1961. Korolev proposed a lunar mission based on what came to be known as Soyuz, assembling the lunar mission in Earth orbit using multiple launches. This program, while technically ambitious, does not require the massive leap in technology that the N-1 represented. By using "assembly line" production of the booster and many of the spacecraft parts, quality control is improved, and any launch failures can simply be replaced with another launch a short time later. The Strategic Rocket Forces may find this acceptable since high rate production of the new booster will allow them to quickly replace older R-7 generation ICBM's with the new rocket, or an ICBM largely derived from the new rocket. 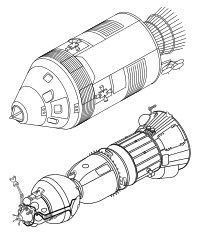 The one critical piece in this plan was initially Korolev still needed an N-1 launch to bring the lunar lander and fuel into orbit, but you can speculate that with a high rate of production and launches, Soviet space experience and technical refinement might allow all the pieces to be lofted by existing boosters in the final configuration. 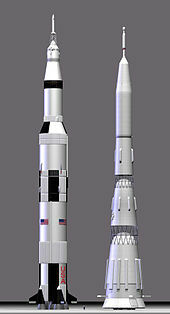 This is still a fairly primitive and cobbled together system, especially compared to the much larger and more capable Apollo CM and LEM, but it has the advantage of starting earlier, having the potential to attract more internal support from the Soviet hierarchy and allow the USSR to reach the Moon first. Stop President Dwight Eisenhower from creating the National Aeronautical and Space Administration (NASA) in the later 1950s. This means the American space effort will be divided between the Army, Navy and US Air Force. Soviet space program was hampered by rivalry between several competing agencies. For measure if you could unify the Soviet space program to be organized, run and administered by a single agency in the manner of USA's NASA, then this should give them the edge in getting to the Moon first. Alternatively, ensure that President Kennedy doesn't decide "to go the Moon" either by nobbling the advisers who proposed what would become the Apollo Project or demonstrating your time machine to convince the Kennedy Administration that the Apollo proposal is a bad idea. Assemble a file on German scientists in NASA and their involvement in Nazi crimes against humanity. Make a note where the most graphic pictures of places like Mittelbau-Dora can be found in the early 1960s. Survivors, too. Compile everything you can about our current rocket science, print it out on actual paper, and drop it on the soviets' lap right after World War II. Research the early stars of their space program to know who to hand the stash to. Maybe much of it will be useless without all the context of modern industrial society, but let them scrape the gems they can use. In our world of advancing technologies, being the first, doesn't always mean success. There's a concept called "second mover's advantage" in the business world. There's a mystique and advantage to being first. However, being second, offers the ability to see why pioneers fail and what works. I think it's just a matter of persuasion, knowing this. Collect all the data you can about the Apollo program. You need blueprints, at least. The more you can get, the better. Get data for Gemini and Mercury, as well. Once you have the data, deliver it to Moscow. The earlier after the US decided to go to the moon, the better. Ideally, make a soviet spy stumble upon it, so you don't have to worry about getting the USSR to trust you. Unlike with delivering them modern data, this is within their technology, so the Soviets could replicate it and launch with that. Not the answer you're looking for? Browse other questions tagged alternate-history apocalypse time-travel space-colonization prophecy or ask your own question. How to make Varus win the battle of the Teutoburg Forest? Would reverse draw crossbow win Mohi? Oh crap, it’s 2020ad, and the Earth is about to explode! Can we make it to the stars?